You are getting ready and leaving for work. Your GSD is barking and jumping at you when you leave the house. You look back at the door and ignore your dog. When you return home, you find your couch ruined, your shoes shredded, and what not. You find your dog sitting in the corner in a bad mood. GSDs are affectionate dogs and get used to company. When these dogs are left alone in the house for too long, they become aggressive and destructive. This behavior in these dogs is due to separation anxiety. What is Separation Anxiety & Why is My GSD Feeling that Way? Separation anxiety is common in dogs and especially GSDs. We all know that GSDs are very affectionate and loyal dogs. They love spending time with their owners and protect them from threats. 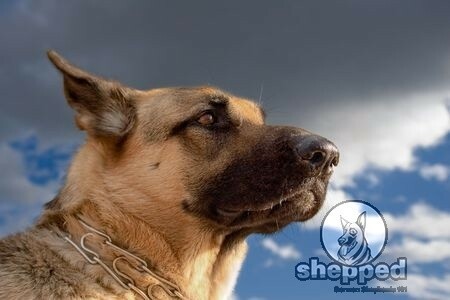 However, a GSD becomes weak and shows signs of aggression and bad behavior when they are left alone. It gives them a feeling of anxiety and extreme stress. This problem should be dealt with at an early age so that the dog doesn’t harm itself or anyone. If your dog reacts badly whenever you’re leaving home, it will create problems for you and you will not be able to leave. When a dog is under the stress of being left alone, it will show destructive behavior which includes chewing on things, biting furniture, aggressive barking, hurting itself while trying to escape, and much more. It is the lack of training that makes your GSD reacts in such a way. How to Keep Your GSD Happy? Many owners get overly-excited with their newly bought pups and pamper them to an extent that it becomes used to all that attention. So, when these owners leave their dog alone at home, they cry, bark, bite, chew, etc. This is not a problem that dogs are born with. GSD like any other dog breed craves love and attention from its owner and family. The way you treat it and handle its training reflects directly upon its behavior. In the wild, GSDs live in packs, and they always stick together. So, what makes you think that when you leave them alone, they will not react? To make your GSD learn to be alone and stay calm, you will need to adopt certain training strategies given below. If you are leaving home and your dog starts to bark aggressively at the door with its puppy-dog eyes, do not be intimidated. Of course, you cannot see your dog being sad but you know that you need to go to work, which means that you will have to leave it alone. Do not over-react when you leave the home to return and find your puppy crying and making a mess out of things. 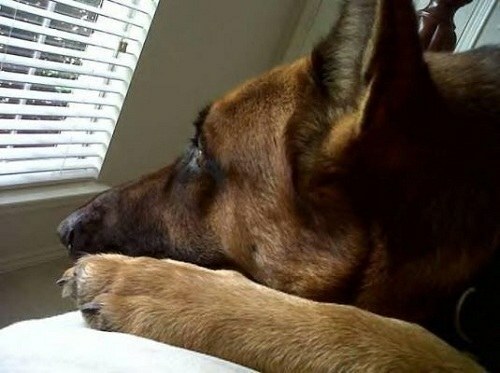 Try to ignore your GSD when it is going through separation anxiety and make it feel like it wasn’t a big deal. This way your dog will learn that by showing this behavior, it is not going to get any attention. The best thing to do to avoid symptoms of separation anxiety is to train your dog at an early age. Leave your dog alone for a few minutes. Note its behavior but do not make a big deal if it gets sad or destructive. Continue to train it by increasing the time until you leave the home for eight hours straight (the time you’ll usually be out for work). Another important thing is not to be present with your GSD all the time. Let it be alone even when you are at home. Some owners react badly when their dogs show signs of separation anxiety. Even if you feel bad for your dog, do not let your dog know. If you feel pity for your dog, you will not be able to train to relax. Show some love to your dog before leaving the home. You can also give it a chew bone or toy so that it stays distracted while you are gone. Make your dog believe that you are going to be back. Take your GSD for an early morning walk in the park. Take some toys or a ball along so that your dog can have some physical activity. Your dog will be tired and would want to sleep after heavy exercising and playing. So, when you return home, your dog will lay down to relax. Let your dog relax in a quiet corner and it is most likely to sleep. Once it sleeps, you can leave the home. Sometimes a GSD is afraid of certain situations that trigger separation anxiety. This mostly happens when a dog is left alone by is owners or guardians. Read on to the list of symptoms given below that point out that your GSD is going through separation anxiety. 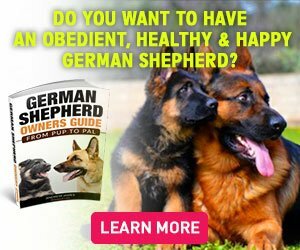 Why does a GSD Develop Separation Anxiety? If its guardian dies, leave the house, etc. If the dog is given up to someone else. If there is a change in the schedule of your work or out of the home activity that the dog is not used to. If the family moves to another neighborhood. If your dog is suffering from separation anxiety, make sure it doesn’t experience a low intensity of what makes it fearful or stressed. If you cannot seem to control your dog’s anxiety, find other solutions to keep it calm. For example you can take your dog with you to work or leave it with a family member when you leave the house. If you cannot seem to get hold of the situation anyway, signup to our website and find effective solutions to your GSD related problems and concerns.